Held a little later than usual this year, the 53rd Daejong Film Awards took place on December 27th with both WOO Min-ho’s Inside Men and NA Hong-jin’s THE WAILING triumphing with five prizes a piece. Not far behind was HUR Jin-ho’s The Last Princess with four awards. 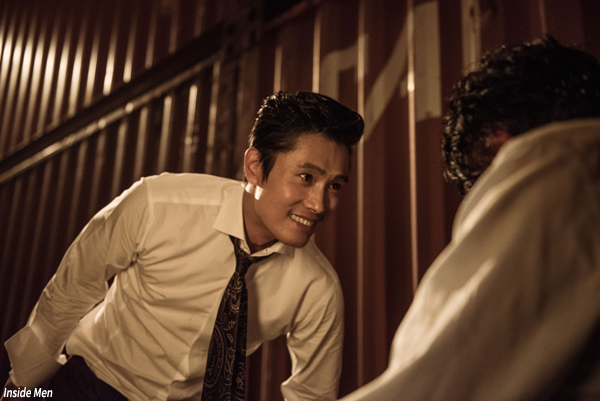 However, it was Inside Men which dominated the night, taking home the Best Film and Best Director prizes, as well as Best Actor for LEE Byung-hun, Best Screenplay for WOO Min-ho and Best Planning for William KIM. THE WAILING was recognized largely in technical categories, with HONG Kyeong-pyo winning Best Cinematography, KIM Sin-yong taking Best Sound, KIM Chang-ho earning Best Lighting, KIM Sun-min’s triumphing in Best Editing and young performer KIM Hwan-hee beating out the competition in the Best New Actress category. The Last Princess won SON Ye-jin yet another Best Actress prize this year, as well as Best Supporting Actress for LA Mi-ran, Best Costume Design for KWON Yoo-jin and Best Music for CHOI Yong-rak. Elsewhere in the main sections, UM Tae-goo won the Best Supporting Actor prize for The Age of Shadows, CHO Jung-rae took Best New Director for Spirits’ Homecoming and JUNG Ga-ram was the Best New Actor winner for Fourth Place. KIM Jee-woon’s The Age of Shadows also took home Best Art Direction for CHO Hwa-sung and CHO Yong-seok won the Best Technical prize for his work on The Tiger. Operation Chromite star LEE Beom-su was the night’s Popularity Award winner while the New Rising Awards went to KIM Hee-jin of Operation Chromite and CHOI Ri of Spirits' Homecoming and classic film writer YOON Sam-yook was honored with the Lifetime Achievement Award.